The ProForm Power 795 Treadmill incorporates modern technology and convenient features with a staple of home fitness equipment. Released in 2013, it offers power and performance priced just over $800 through the Amazon.com marketplace. A bright LED display with iFit Technology enables easy control of the incline, speed, and performance tracking. Whether the goal is to lose weight or stay in shape, ProShox Elite 2 cushioning is easy on the impact felt in the feet and joints, no matter how intense the workout session. Inexpensive – Finding a low-cost piece of equipment does not necessarily mean poor quality or sacrificing features. At $800, this treadmill features a powerful motor that can handle long workouts without strain. Innovative iFit Console – Track your fitness achievements and connect to the online community simply by pairing iFit with a home Wi-Fi network. Access enables participation in competitions, custom running routes powered by Google Maps, and storage of fitness statistics through the iFit cloud. iPod Compatible – Forget about wearing an armband or blaring music throughout the home while you use the treadmill. Hook an iPod to the small Intermix Acoustics 2.0 Sound System speakers to customize your personal playlist through each session. Personal Cooling Fan – Sweat during an intense session without the risk of getting overheated or having to take a break to adjust a regular room fan. Change speeds of the built-in Coolaire Workout Fan as easily as pushing the quick control buttons. Preset Workouts – Never second-guess the effectiveness of the time spend working out under the loose guidance of a certified trainer. 16 featured programs are created by fitness experts to make it as simple as selecting an effective preset routine. ProShox Elite 2 Cushioning – Working out on a basic treadmill can be hard on the feet, joints, and back due to the lack of support. 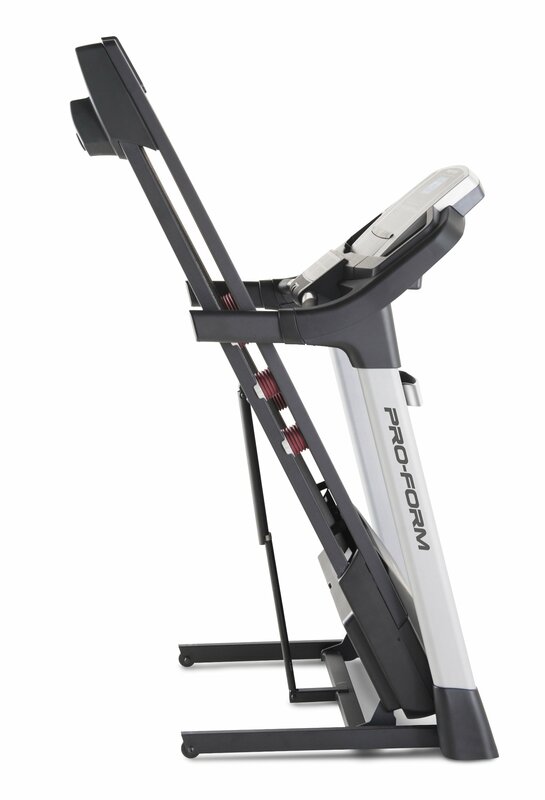 The ProForm Power 795 Treadmill has excellent cushioning to take the unnecessary pain out of each step. Warranty – Exercise without worrying over being too hard on the machine. The frame comes with a lifetime guarantee, labor is covered for a full year, and parts are protected under warranty for 2 years. Space Saving – Easily fold the deck upward to minimize the required storage space when equipment is not in use. iFit Membership Required – Free access to iFit is very limited, excluding some of the most useful workout features. Unfortunately, full access requires an annual or monthly fee that is unable to be refunded. Not Suitable For Everyone – Large people over 325 lbs surpass the weight limit and should not attempt to operate. The Speed setting hits a maximum of 12 MPH, not allowing for higher options during a fast run. Short Tread Belt – In comparison to other models with the same average price, the tread belt measures shorter at 20 x 56 inches. A taller person may not find this adequate when performing with lengthy strides. You would be hard pressed to get a better value out of a treadmill without spending a few hundred extra dollars. 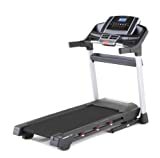 A NordicTrack C 900 Pro is more suitable for runners that require a higher speed and longer tread belt, but it comes with a price closer to $1,000 in return. The average user can enjoy a similar experience to training on an expensive treadmill without sacrificing key features, such as workout presets and adjustable settings. Although there is a fee for joining iFit, it is discounted through extended packages, and remains significantly less expensive than consulting with a personal trainer at the gym. The Proform 795 Treadmill has a lot of capabilities in such a compact model that saves additional space when the deck is folded. You’ll have to decide on your own if these qualities can be overlooked to enjoy the positive features of this ProForm treadmill.